There’s been a few attempts to replace the reliable, roller-ball, two-button computer mouse over the years. But let’s face it, when you sit down at your desk to use the PC, you’re still gripping that same basic pointer in your dominant hand. At Computex yesterday, Asus announced an eye-brow furrowing new take on this mouse that just might catch on in certain situations. The Asus VivoMouse works as a mouse and also offers an integrated multi-touch touchpad on top. 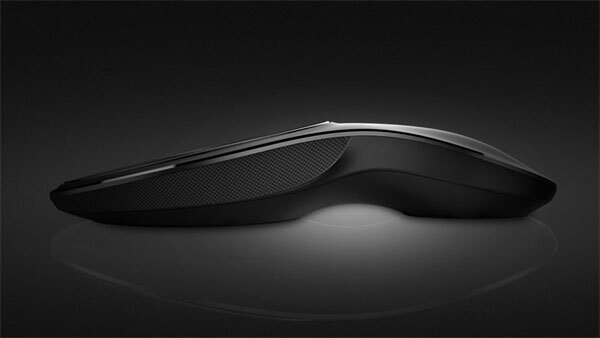 It’s also wireless and made to be comfortable to be gripped like a remote control as well. The top circle is a surface that supports Windows 8 multi-touch gestures. The mouse features a 1200 dpi optical sensor, a 2.4 GHz RF wireless support (typical of most remote controls), and ability to sense three points on the multi-touch trackpad. The mouse measures 5.3 inches long, 3 inches wide, and 1 inch high. The multi-touch top on a mouse makes this similar to Apple’s Magic Mouse product that Mac users are so familiar with . But the remote control design will be popular among those who use a PC as part of a home entertainment centre. Conveniently, Asus aslo released a VivoPC intended for use with an entertainment centre. Both products will be available in third quarter this year, and pricing information isn’t released yet.